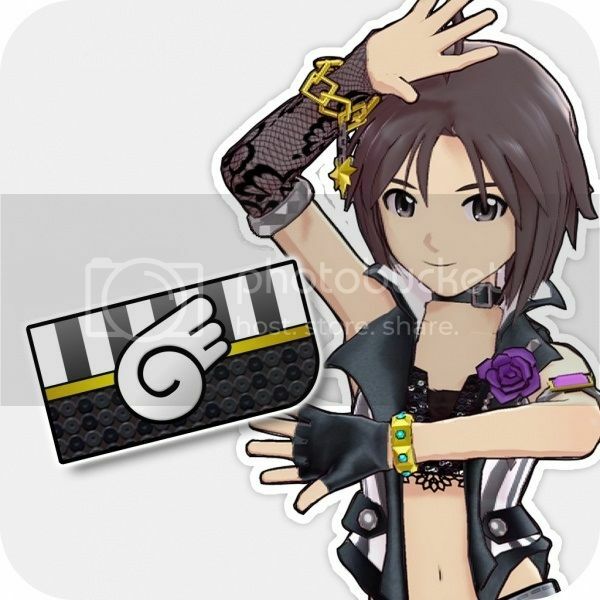 Re: IDOLMASTER 2 Spoiler Thread! Anyone get the feeling this song will only be popping up as part of Storyline development and/or Character development? Cause this song is very... 765 rather than 961. If you get my drift here. Especially considering the tone set in comparison to ALICE OR GUILTY. Do correct me if the tone ends up contradicting the lyrics. Nah, the song is probably just used for getting higher rankings. ...or maybe incoming romance with 765? Plus, if my quick calculations are correct, that would be the best time to show this song. Shippers will only glee if they sing this in the end, after their predicted change of heart. Oh great. Now people will remember the whole steal-your-idols gig. Nah, I kid. But seriously, not happening (at least them fanboys hope so). Touma always looks so grouchy. It just makes me think even more that Koi wo Hajimeyou isn't very suited for Jupiter...it's a catchy song, though. He's just like, "Move it, you're in the way *brushes hair* *sashays off*"
Makoto & Yukiho: "Um...wtf just happened?" Moving this here from the other topic. 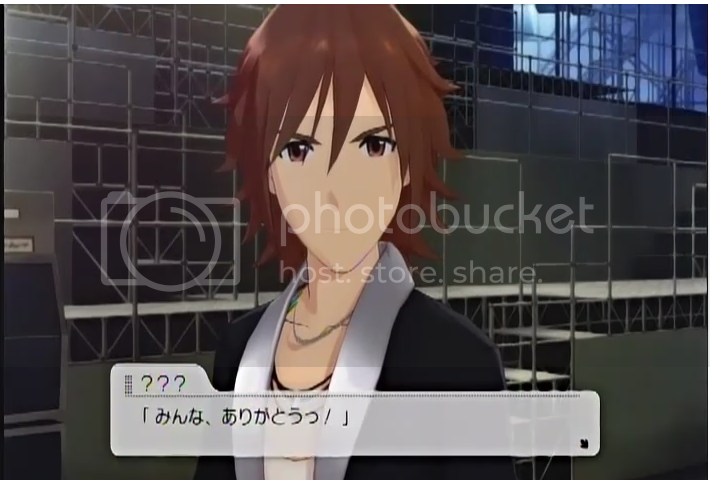 Second, "First meeting with Touma" was really funny and cute in a way I see it. Looks like Touma's trying to be cool and anti-social in some way. I understand that Touma looks really angry like all the time, but I guess he's being confident or "showing out his badass side" as we speak. I love it! (*raises up sign that says "Jupiter No.1! "*) Yay Touma! Miki, one of the beginning communications I'm assuming. Miki also imitates a cat for a few seconds. If Jupiter turns out to be some gary-stu undefeatable brigade who are irresistible estrogen magnets and have your idol unit rubbing themselves over them in 4 seconds I will rage inwardly. Usually I wouldn't care but Touma took down RK single-handedly. Wat. Think of it like SP where all of the rival auditions were rigged so that 961 got first, so you could only win by getting 2nd place. It's kinda like that. You're going down, Jupiter. I don't care if you can do backflips. Nor that you can skip on stage and still have fangirls. At least, I'm not the Maoh Angel trio who bribes the judges and imitates other idols to get #1. Idolm@ster 2 just 3 red ringed my console! ah.. sorry to hear that man.